That’s How It’s Done. 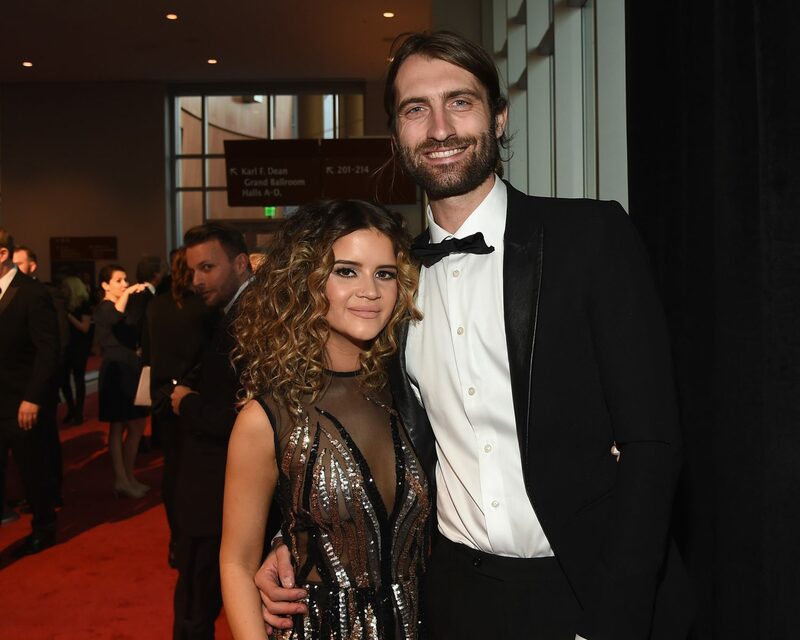 Country singers Maren Morris and Ryan Hurd, who married on Saturday, March 24, both took to Instagram the following day to share the first photos from their outdoor Nashville nuptials. 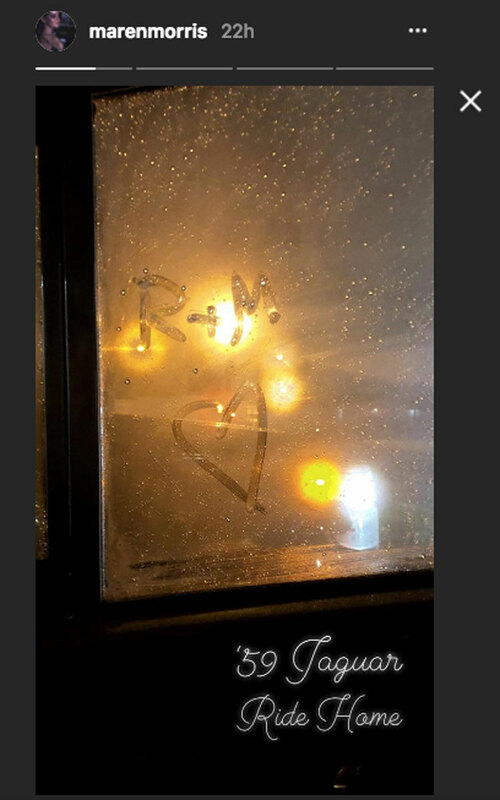 The newlyweds both shared kissing photos from the wedding–the bride opting for for a pic of the two exchanging their first official kiss as husband and wife. “My last turn home,” she noted, alongside the snapshot taken by photographer Rachel Deeb. For the outdoor ceremony, Morris dazzled in a short dress with a long train custom-designed by local designer Cavanagh Baker. The piece included an open keyhole on the bodice, and was accessorized with a crystal belt cinched at her waist. 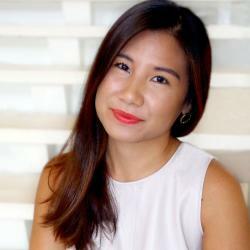 The pair exchanged vows underneath an artsy makeshift tent decorated with greenery and white sheets. Carpets lined the grass to protect the bride’s crystallized heels. Hurd, meanwhile, took to Instagram to share a loved-up, black-and-white shot with his wife captioned with their wedding date. Morris also shared additional images from the wedding, including one hilarious shot of members of the bridal party walking down the aisle. While one bridesmaid holds a bouquet, the other clutches a puppy in her arms. The bride also revealed the couple’s choice of a getaway car—a ’59 Jaguar. The bride and groom first met in Nashville while co-writing a song for Tim McGraw. They got engaged in July 2017. Just one day before the nuptials, Hurd released a single called “Diamonds or Twine” to honor his future wife. Looking for a similar wedding aesthetic? Start with The Knot’s Style Quiz, here. 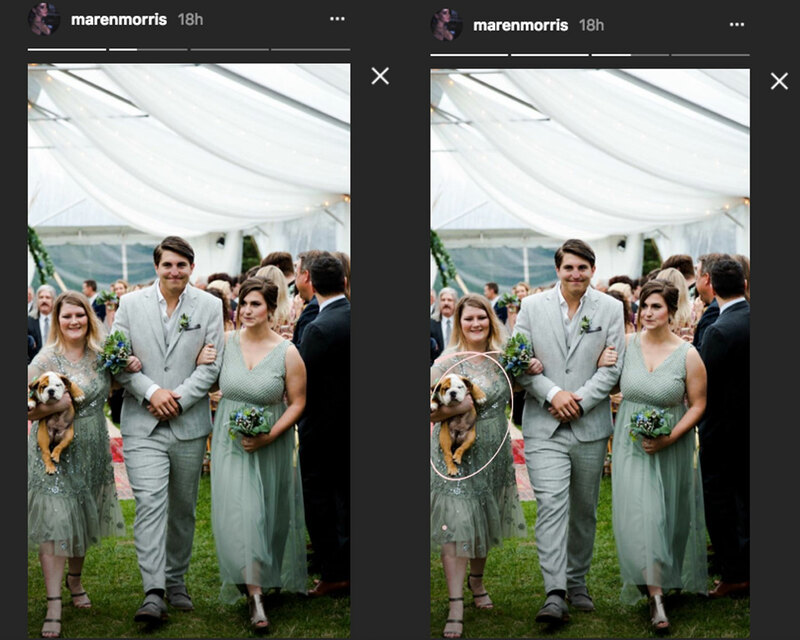 Be the first to comment on "Country Singer Maren Morris Shares the First Photos From Her Nashville Wedding to Ryan Hurd"